This document is version 4.0 - As of 13th. of March 2019. New to this version: Venue for race briefing has changed. Some informations added to Race Start. Some booking informations added about the ferry of Molslinjen, and some informations about Bike Shops added. Make sure you always have the newest version. New informations can be added up untill a month before the race starts. The latest version number will be stated on the website. It is a very good idea to have this document on your smartphone, so you can look up informations during the race. The PDF file can be downloaded above. In the following text, the 24 hour time format will be used. Below you can see how it corresponds to am/pm if you are not used to the 24 hour system. Don't even think of it. But sometimes people have to 'scratch' from the race for some unforseen reason. Be it injury, too exhausted or major mechanical failure. If you decide to drop out, you have to send a 'scratch' message as soon as possible, to RD via Messenger - stating you official reason to scratch. Or call RD on 28 90 04 32, stating your reason to drop out and your racenumber. 'Scratch' calling, on the phone, is not allowed between 22:00 - 8:00. Remember that you have the sole responsibility for contacting loved ones in this regard. A good advice: Do not give up at night – hence why we do not accept nightly ”scratch” calling. Wait until the morning. Sometimes things have changed, for the better, after a good night's sleep and some food. Race-briefing and "Meet and Greet" dinner is mandatory. Race-briefing will take place on Saturday the 20th. of July, 2019 - start at 14:00 hours. Venue: Frivilligcenter Helsingør, Kronborgvej 1C, 2nd. 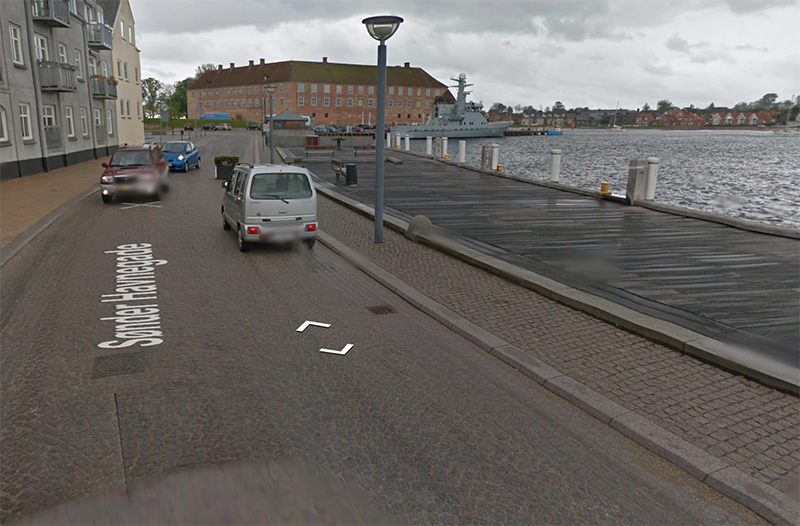 floor, 3000 Helsingør (on the other side of the road to the race start venue). It is not very far from Danhostel. "Meet and Greet" dinner will take place right after the race-briefing. Registration fee covers the briefing, dinner, Sunday breakfast and overnight stay, from Saturday to Sunday at Danhostel Helsingør. Bed linen is included in this price. Your first choice of contact, to officials during the race, should always be by using messenger. Please do not contact us, by phone, between 22:00 – 08:00, unless it is due to a serious accident or illness. Next of kin can not pass ordinary messages, to any riders, through officials. Only death or serious illness/injury informations will be passed from family members to riders. Riders are encouraged to keep in contact with friends and family online. Then call your next of kin, so they do not get worried because your spot has stopped or is moving in the wrong direction. Riders, their friends and family must understand passing of information, to your next of kin, in case of serious injury or even death, will be passed by hospital staff or police. Race officials are not educated to handle such communication - no matter how much compassion they might feel for the victims, friends and relatives. If you contract a simple illness, loose your medication, sprain something, or any other condition arises that is not life-threatening or otherwise serious, ask someone how to get in contact with a local doctor from 08:00 – 16:00. These are normal opening hours at local clinics. Most Danes speak very good English. So it will not be a problem to communicate with people. 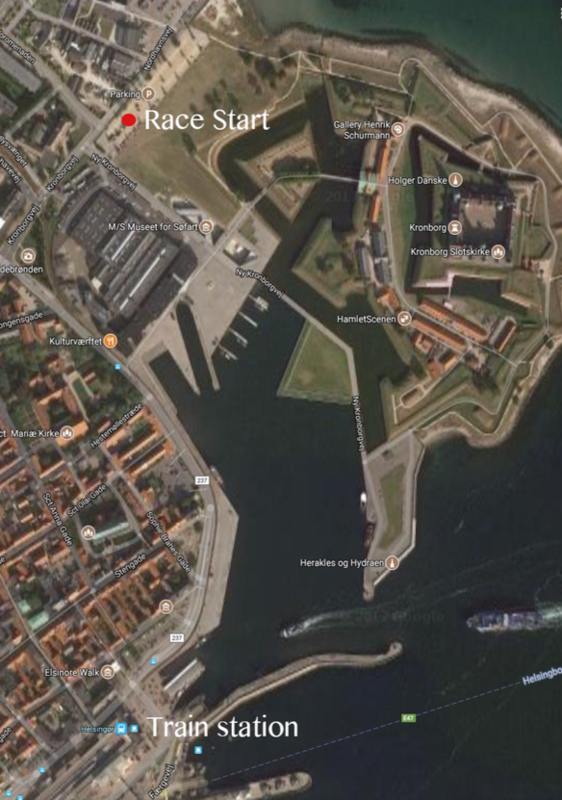 Start: The main parking lot at Kronborg Castle, in Elsinore (Helsingør in Danish), at 8:00 on the 21st of July, 2019. Bike check-in starts at 7:30. So all riders have to be at the start at the latest 7:30. You, and only you, have the responsibility for your own safety on route. You have to ride according to your abilities to stay the safest possible. The Round Denmark Bike Race, and it's racedirectors and crew, are not responsible for how you conduct yourself on the bike. Or how other drivers behave on the streets. 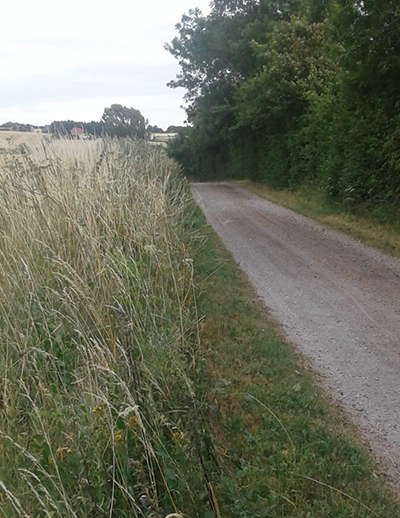 Gravel Roads: You will ride on almost 100 km of gravel road. Some sections consist of several km and some sections are shorter distances. They can be of compacted quality or loose with sand and bigger stones. These gravel roads will bring the route away from more busy and more dangerous roads, where getting hit by a car is more imminent. 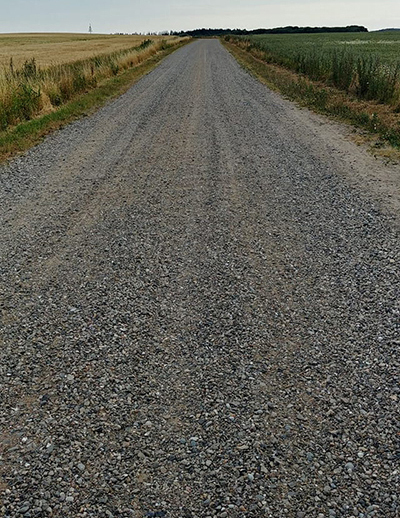 You have the responsibility to ride these gravel roads as safely as possible - according to your abilities to avoid injuries. 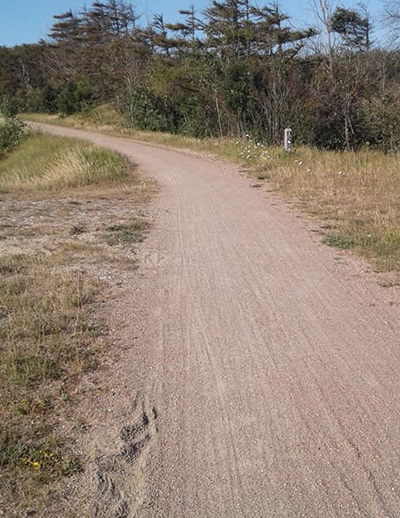 Remember, the hotter the weather, the more likely the gravel roads will be of a more loose sandy quality. 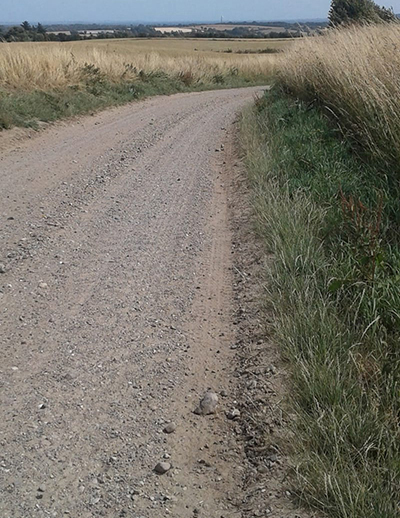 The below images show the kind of gravel roads on route. Photos by Danny Lockhart (USA) and Erin Pederick (AUS) during the 2018 race. Mixed gravel road - more compact. Small pebble and sand gravel road. Cobblestone Roads: You will ride on almost 1 km of cobblestone road. The first section is in Sønderborg. This section has a fairly flat surface structure. But you still have to be extra careful if it has been raining. 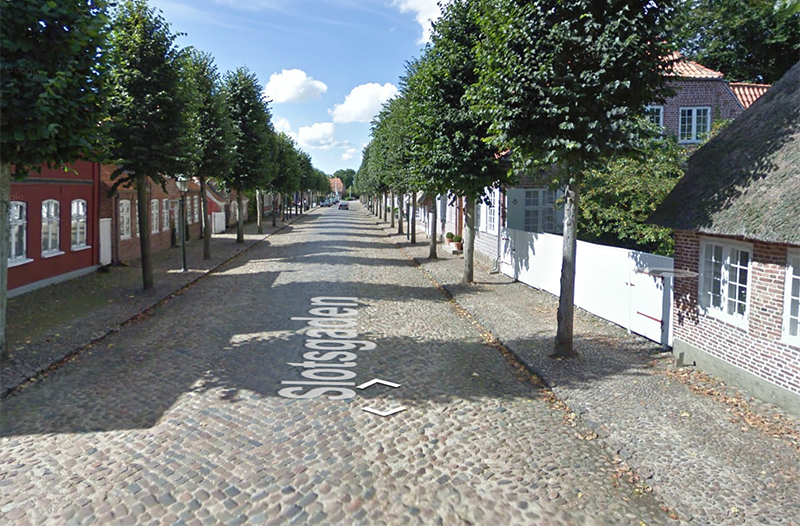 The next long section is in Møgeltønder. This section consists of more rounded stones, which makes it harder to ride on. Again be extra careful if it has been raining. If you are not comfortable, at riding on cobblestone, get off your bike and walk. The sections are not longer than 640 m. So they will not take long to walk. There are some other very small sections of cobblestone. But they are not very long - about 20-50 m. Again, you have the responsibility to ride these cobblestone roads as safely as possible - according to your abilities to avoid injuries. These are the two longer stretches on route. Images from Google Streetview. Other hazards: In 2018 the riders came across some hazards that could not have been predicted. 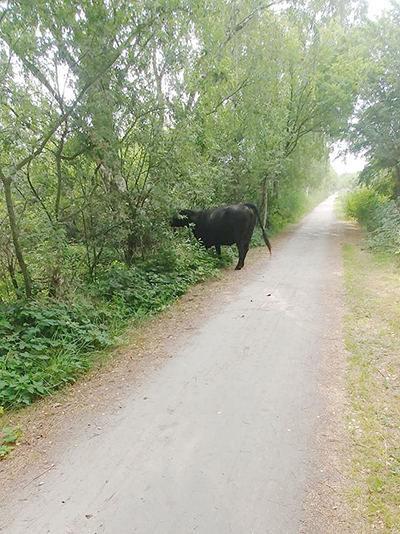 In one place a cow had ventured out onto a paved cycle path. 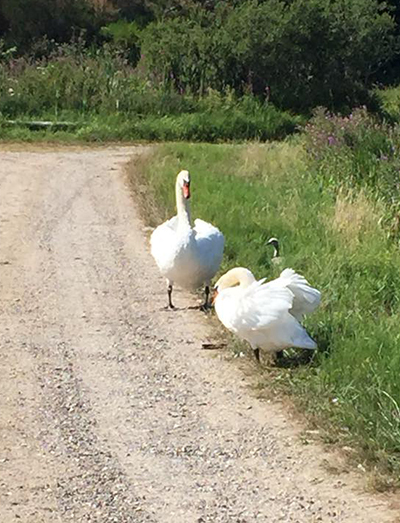 In another place a swanpair had made a nest right next to the gravel road. They were somewhat annoyed by cyclists passing by. 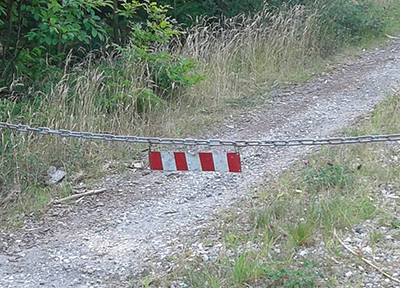 In northern Jylland the National Forest and Land agency had put up some chains across the start of some of the gravel roads to prevent cars from entering. 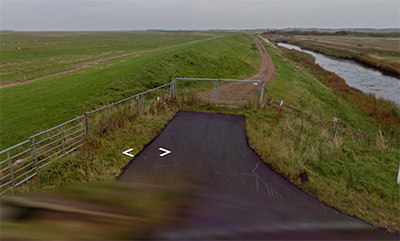 At the dyke of southern Jylland, you will meet sheep on the gravel road - as well as gates that have to be passed. 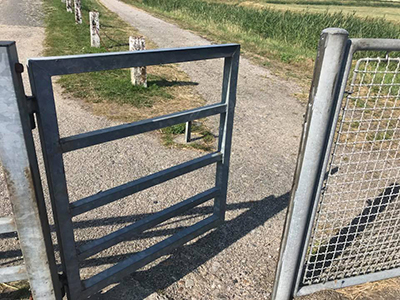 Some of these gates are locked, so you have to get over them. We have to assume these kind of hazards will turn up on the route in 2019 as well as other unforeseeable hazards. Including some roadwork. So you have to be alert while riding and take the necessary steps to avoid getting injured. Race tracking is done by SpotWalla.com. You have to sign up for a free account on SpotWalla.com. Unfortunately SpotWalla only leaves room for three digits for your map ID. You have to set your tracking ID as your racenumber plus the first letter of you first name. When you set up your SPOT, on SpotWalla, you need to write your name in the "Description" field. After setting up your account, you have to join a ”Location Page” for the race. This will be available from the 1st. of June 2019. Make sure you have tested your SPOT, and the SpotWalla connection is working, before you get to the race. Go to the part about joining the ”Location Page”. You do not have to create a ”Location Page” og embed it etc. Race director's location, on the map, can be seen as ID: RAD. You have to make sure your SPOT Gen 3, or Trace, is up to date and recharged during the race. This will help ensure that, whether day or night, we will be ready for your finish. Remember to check your tracker’s operation at regular intervals. Especially after getting off the last ferry in Hundested. You have the sole responsibility with regards to your trackers working condition. So know what there is to know about your tracker. Including changing and charging batteries etc. 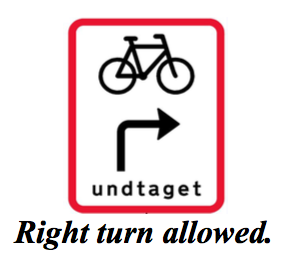 In order to quickly get accustomed to cycling in Denmark, you should know the basic rules of the road. The following are the most important biking rules from The Danish Road Traffic Act. 1. Hand signals are mandatory while cycling around Denmark. Please remember to look back, before changing direction or lane. When ever you are changing direction or stopping, you should use the following handsignals. 2. Keep on the right side of the road in the direction of travel - including while riding on a bicycle path/lane, to let other traffic pass. 3. 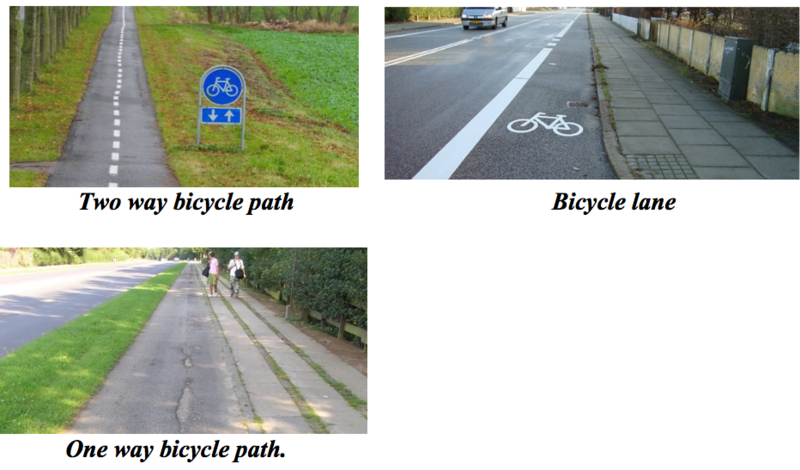 Others have ”the right of way” when you reach road "shark teeth", a crossing pedestrian sidewalk or bicycle path/lane. 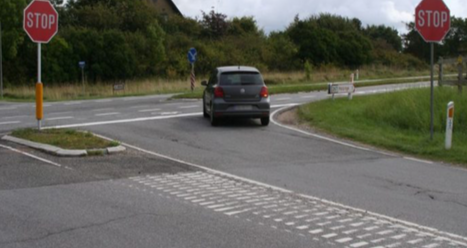 If there is no crossing traffic, you are allowed to continue without stopping. 4. You have to stop at any full stop signs before you continue. 5. Keep behind vehicles indicating wanting to turn to the right, in intersections, unless you are on a bike path/lane. Beware of right turning trucks. Most accidents happens with right turning trucks. They have a very hard time seeing you. Make sure you can see the driver and that the driver sees you in the side mirror. 6. Always use bicycle path/lane when available. 7. Riding side by side is allowed when the road condition allows for it. Make sure to let cars and other vehicles pass. And keep a straight line. 8. No right-turns on red unless a sign allows you to. 9. Keep to the right in all intersections. 10. No parking, of your bike, on a bicycle path/lane. Move away from the path/lane as soon as you have stopped. 11. Left turns in intersections: stop at the next corner, using the stop signal, and wait for green light to continue. 12. Both feet on pedals and at least one hand on the handlebars at all times while riding. 13. It is forbidden to ride on the pedestrian sidewalk or pedestrian streets, while walking the bike, is allowed. 14. A bicycle that is parked must be locked. 15. Always walk your bicycle across pedestrian crossings/crosswalks. 16. While riding, a cyclist is not allowed to hold onto another vehicle or to the driver or passenger of another vehicle. 17. Being drunk or otherwise intoxicated and riding i prohibited. 18. Front and rear light should be on from sundown till sunrise. Stay safe out there! Use your common sense and get enough rest. The route has not been finalized. It will be changed before race start. 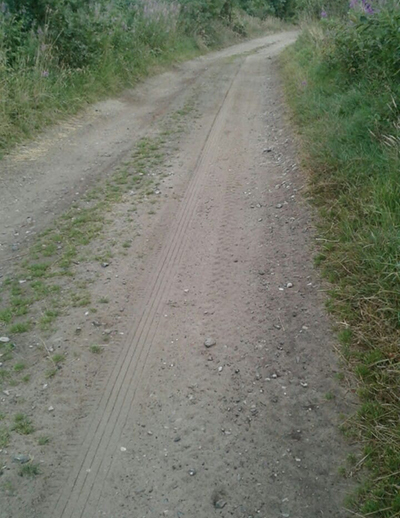 The route consists of 1896 km on mostly asphalt/tarmac and some on gravel road and cobblestones of different qualities. 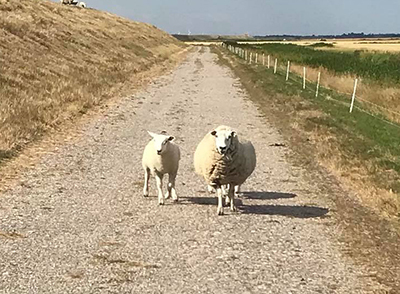 It passes through some of the most scenic landscapes of Denmark – and pass several interesting sites for those interested in doing a bit of sightseeing – after all, not everybody participates to win. To see the route, and download the route segments, click on the top menu. You will need to take five ferries. Only one needs to be booked in advance. 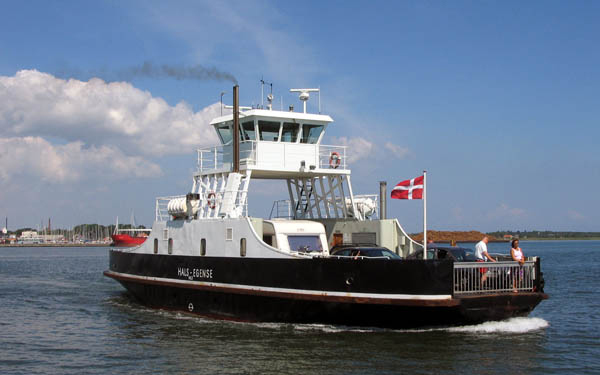 The ferries add an extra competitive element, to plan around, and adds to the experience of Denmark. 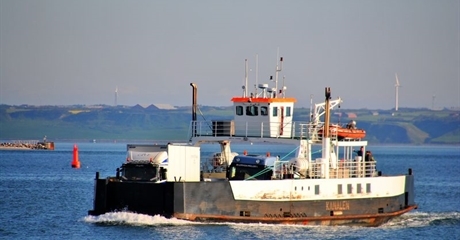 So we decided to retain these five ferries and see no problems, since all riders have the same conditions. The ferries are mentioned in order of how they appear on route. 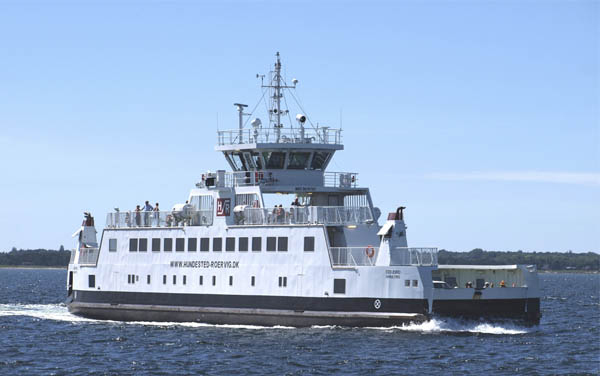 If you can not reach the Thyborøn- or Hals ferries, alternative night routes can be found below – these are mandatory if you plan on skipping the ferry outside working hours. You can download the night routes by going to the route page in the menu above. 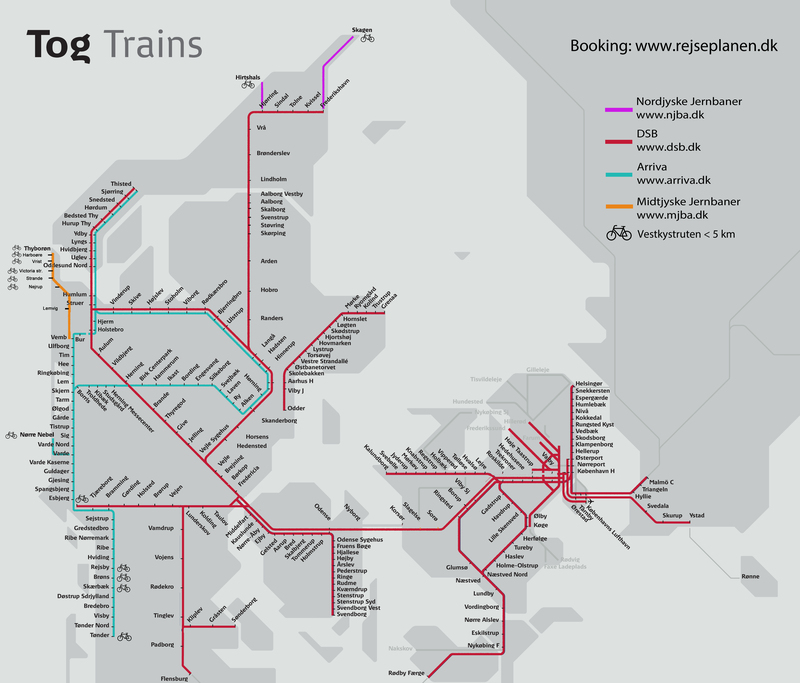 Please observe the following: night routes are not shown, as overlays, on the online SpotWalla dowatchers page. This is due to technical limitations of Google Maps. On demand. You call the ferry by turning a sign. Pick "Lavpris" if it is available. That is the lowest fare. 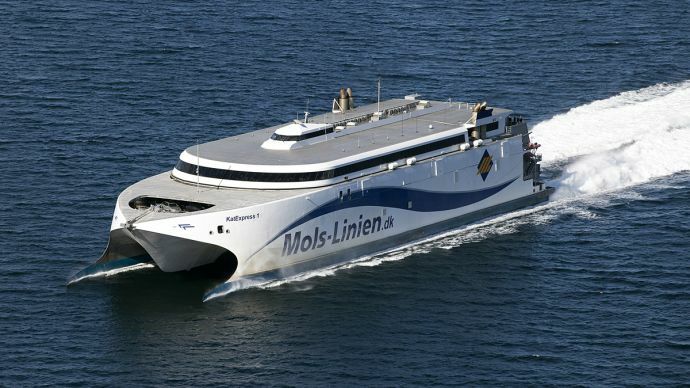 Molslinjen has informed us, that riders can book online, the last ferry of the day, and use the ticket for any scheduled ferry during that same day. Some parts of the day is hourly operation. At other times it is more frequent. Choose "Rørvig" in the drop-down box. Blue and yellow markings indicate ferries running. Observe: The PDF is 2018 summerplan. It will change when the 2019 is ready. There are different types of accommodation. Several are for free and some cost money. You have to be aware that it is illegal to camp whereever you see fit. You can sleep in a bivy bag in all public forests and on public beaches. But beware that not all forests and beaches are public. Some are privately owned. You are not allowed to set up a tent on the beach. Denmark has NO dangerous animals. No dangerous bears, no dangerous snakes and no dangerous spiders. The only things that might bite you, are mosquitoes and sometimes ladybirds on the beaches. So bring some repellant if you insist on sleeping in a bivy bag. We only have very few kinds of snakes, but none are dangerous. Unless you might be allergic to their bite - like being allergic to a beesting. You will most likely not see any snakes at all. Dogs are not a problem. If you see one, it is ususally a very kind farm labrador and likes to chat. One does not hear about cyclists being chased by dogs. Pitbulls and the likes are not very common, since they became illegal a few years back. Sleeping in a bivy bag, under a tarp, is just fine as long as you follow the law. Check yourself for ticks regularly, if you sleep in a bivybag. Remove any. Lyme diseace is most common in the southern parts of Jutland. But only 15% of the ticks are carrier of the ”bug” and it is easy to treat, if you do it while having the red ”ring” on your skin – contact a local doctor, if you develop the classic symtoms at a bitesite. The doctor will give you some antibiotics. But it is very rare – only 189 new cases a year in all of Denmark. TBE is not a problem in Denmark. That is about it with regard to ”dangerous” critters. If you are very lucky, you might see wolves in northern parts of Jutland. Remember they are not dangerous and will keep away from humans. Wolves have made their way back into Denmark, within the last 5 years, after having been gone for several decades. There are very few of them. Scientists think it is the order of one or two very small groups. So one has to be very lucky to see them in the fields. Make sure you check the specific site to see if it is free. Some are privatly owned and charge a very small fee like 20 kr ($3) which is usually to maintain the site. So click on the one you want to use. It will give you further informations about how to find it, if it has running water and toilet. ”Fri teltning” - are larger areas where you can set up tent or sleep wherever you like. These are typically in forest areas. ”Små lejrpladser” - are small campsites often marked by just a stake. There is no water or toilet. ”Shelters” - are self-explanatory. There can be one or more shelters at a site. You are allowed to set up tent at the shelters as well. At some shelters you will find water and/or toilet. ”Store lejrpladser” - are large campsites intended for group events. They are not applicable for the race participants. ”Se mere” - Look for more info. ”Ikke tilladt” - not allowed. If you are using the RideWithGPS route segment links, you will find shelters as POIs. It is possible to download a Shelter app to your smartphone. You can use this while on route to find the nearest shelter. All Danish caravan parks accept tenters that drop in. For a fee (80,- to around 130,- kr per night) you can set up your tent and use all facilities. In some places you can rent a small hut with electricity. The race route passes many caravan parks. You need a camping pass to stay at a caravan park. You can buy this online or at the first caravan park you stay at. If you already have a pass, from home, bring it because some accept international passes. If you are using the RideWithGPS route segment links, you will find caravan parks as POIs. Denmark does not have a lot of motels. You will find hotels or bed & breakfast in most larger towns. They can be pretty expensive. If your prefer hotels, you should book them in advance. 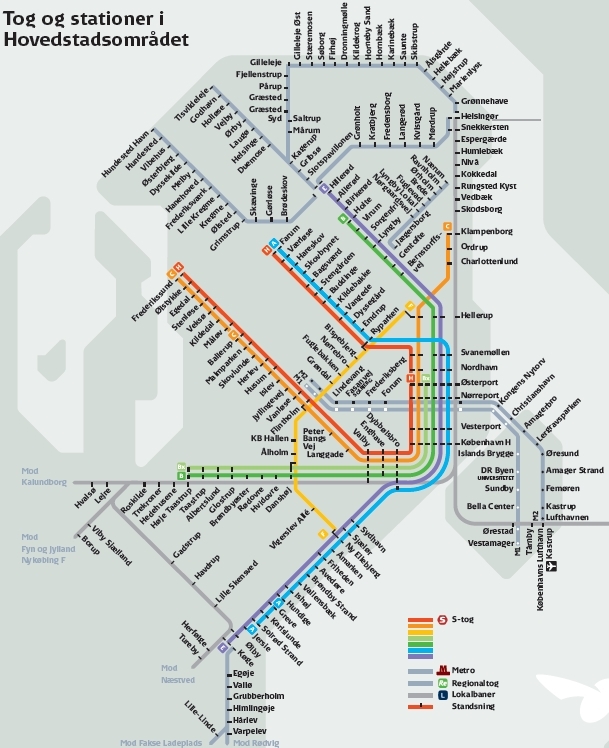 Denmark has a vast net of public transport. You will find trains all over the country. You can bring your bike, for a small fee, on most trains. In the Copenhagen area, it is free to bring your bike on the S-train. 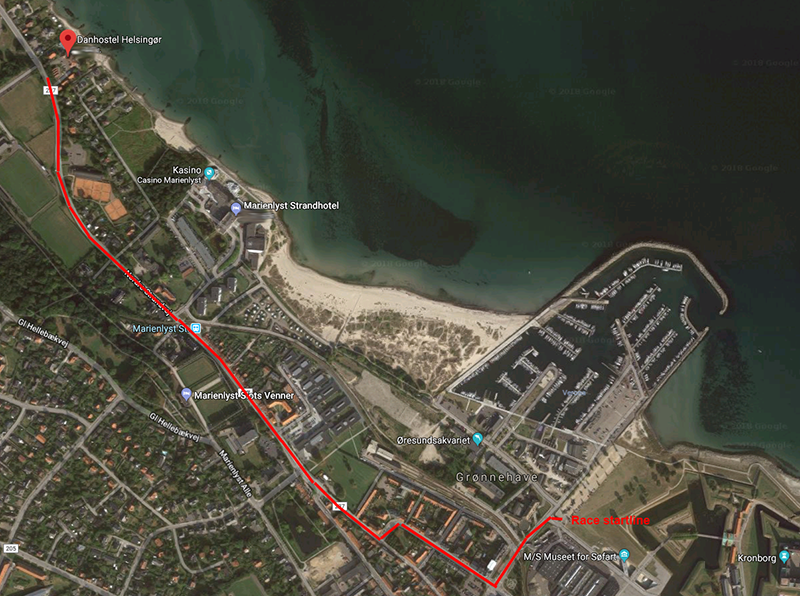 You can catch a train, directly from the Airport arrival terminal, to Elsinore (spelled Helsingør in Danish) where the start takes place. When you get out through customs, you just walk to the far end of Terminal 3. Here you will find the DSB ticket office. Trains network of the Capital area. Denmark has tap-water that is cleaner than bottle-water. You do not have to buy bottle-water if you can get tap-water. It is safe to drink and there is not added a lot of chemicals to keep it clean. And it tastes good. If you are running low on water, just look for the nearest state run church. Almost all towns have a state run church – apart from the very small ones. And most churches have toilets and water. You can usually find a watertap somewhere, beside the church, if there is no toilet. If you are using the RideWithGPS route segment links, you will find churches as POIs. Denmark has several discount supermarkets. If you see a Rema1000, NETTO, Lidl, Aldi or Fakta supermarket, you can be sure it is the cheapest prices. There are a few others as well. Though not as cheap as the ones mentioned. Most larger towns have a supermarket. Each brand of supermarket, has the same prices all over Denmark. And most are open from 8:00 – 18:00 and some until 22:00 in the bigger cities. 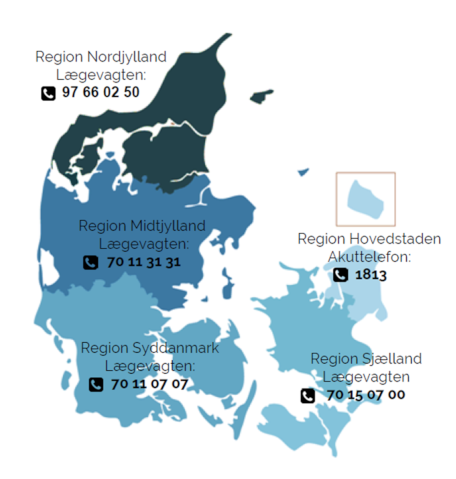 You will not find 24 hour services at supermarkets in Denmark. Petrol/gas stations, in larger towns, are usually fairly expensive and do not have a lot of healthy food. But you can usually get some bread, cakes, drinks and ”junkfood”. In smaller towns the petrol/gas stations are automated. This means they have no shops. So do not look for petrol/gas stations when you are hungry. You might end up at one without service. In big towns you will find burgers, pizzas and the likes. In some coastal towns, you will be able to find freshly smoked herrings and mackerels at the habour – a nice lunch treat. And the bakeries are a chapter of it's own. Tourist areas are usually very expensive. You will find bike shops in some towns. Their opening hours are usually from 9:30 - 17:30. In the bigger cities you will find big shops called THansen, Harald-Nyborg and Biltema, which all have some bike parts like cables, chains, rim brakepads, tires and tubes (Biltema has very limited numbers of 700C tires though). They also have some very cheap bikes, if any rider experience a total bike failure - like their bike being bent or broken by a car. Some bigger supermarkets like Kvickly and Bilka sometimes have tires and tubes as well - though not always 700C. If you can not find a bike shop, or they have closed for the summer, look up one of these shops in the bigger cities. 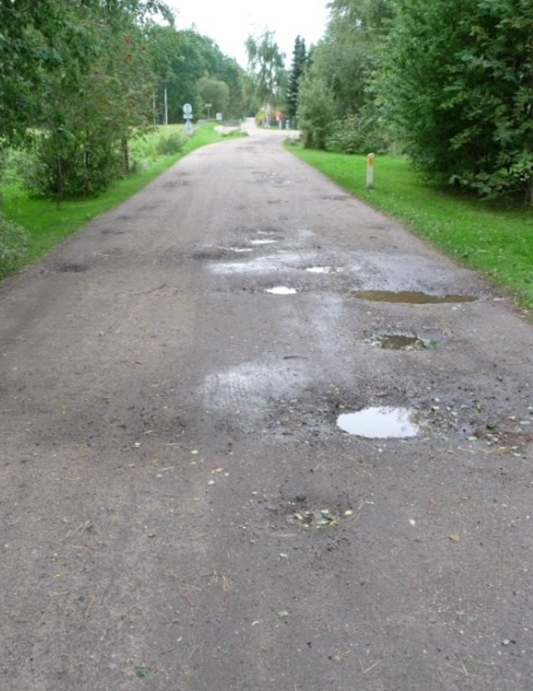 At least you will be able to find some patching kits if they do not have the right tires and tubes. Lone (race director) will have some extra 700C tires, tubes, ordinary platform and SPD pedals, cables, patching kits, workstand and tools, in her campervan, and will be on the route for the first week. This service will be available for all riders to use, when too far from a local bikeshop etc., and will not be deemed reason for disqualification. Too far means more then 20 km to the nearest shop, which can provide you with the parts you need. Consider the service a mobile repairshop. Riders have to do their own repair and pay a fee for bringing the spare parts - 1,50 kr per km driven from the position of call recieved to rider's position. This can in some instances be 100 km or more, depending on the spread of riders, but usually Lone will be there within 1-2 hours. The fee covers the diesel used - And riders have to pay for the spareparts themselves as well. If you are using the RideWithGPS route segment links, you will find supermarkets etc. as POIs. You can find public pools all over Denmark. If you need a shower, then just visit a public pool. They charge a small fee. A public pool is called ”svømmehal” in Danish. If you are using the RideWithGPS route segment links, you will find some of those pools as POIs. 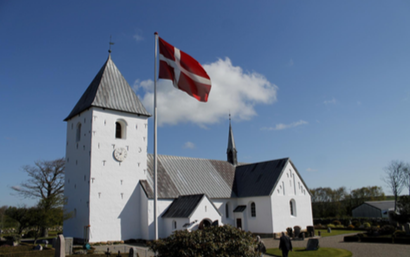 If it is not possible to get your mobile service provider to give you a good roaming deal for Denmark, you can buy a cheap local mobile service. Do it well in advance. OBSERVE: We will post some service providers later. We just need to get some feedback from the 2018 riders. 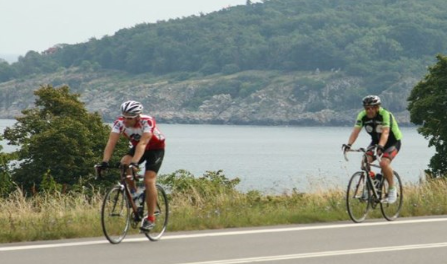 The race crew will bring one bike suitcase and one small suitcase, from Helsingør to Farum, for each rider. You have to hand them over at Danhostel Helsingør, or bring them to the start area on the morning of race start. You will be given two tags, with your racenumber. One for each suitcase. You will be able to pick them up, at Lone's place, after you finish the race. It is only about 1,5 km from the race finish. Contact Lone in advance, if she is not at the bakery to greet you back from the race – she might be at work. When picking up your things, you will be able to have a nice shower and get into some clean clothes. Riders are welcome to sleep over, for one night, at Lone's (racedirector) place, after the finish, if they arrive late and haven't yet found accomodation. Riders are urged though to find accomodation beforehand. You can stay at a shelter, caravan park or hotel, all within a short ride from the finishline. Several of these can be seen on segment 11 of the route. You can also travel to the Copenhagen airport, where you will find hotels close by or Danhostel Amager, which is not far from the airport and a short ride from the center of Copenhagen.